We will record each class session and make it available to you on a private, view only (no download) site until the next class period – so that if you miss a day, you can easily catch-up. Online. We will use Zoom.us. It is a very simple system. You will receive a link prior to class. You click the link (same link each week) and are taken to a site that has multiple boxes (like The Brady Bunch opening credits) where you can see and chat with everyone in the class. You must have a working internet connection and a computer that has both speakers (so you can hear the teaching artist) and a microphone (so they can hear you; be advised, some computer systems require you purchase a headset to use the microphone). If you would like to investigate the system before registering for the class, check out: www.zoom.us. PlayPenn covers the cost of running the system but you are expected to participate independently. We use DropBox to share our work, if sharing is required in the class. We will record each class session and make it available to you on a private, view only (no download) site until the next class period – so that if you miss a day, you can easily catch-up. 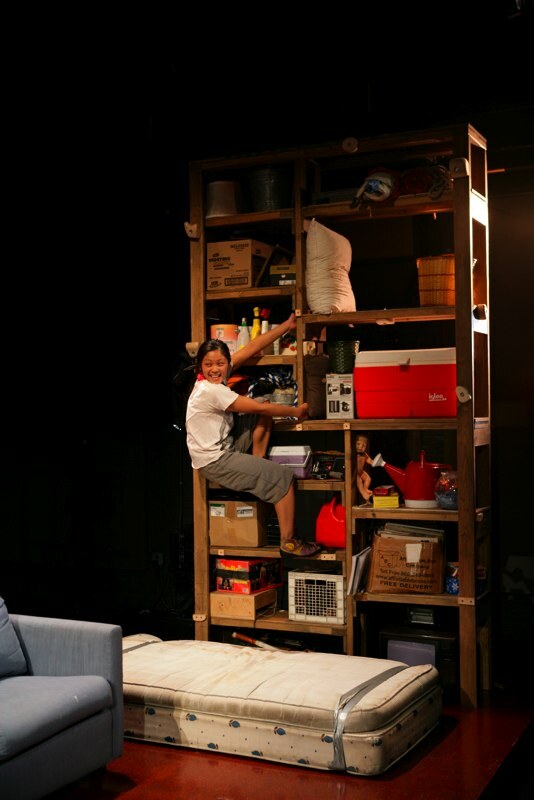 Lauren Feldman is a queer, feminist playwright (and circus artist) who loves theatrically adventurous, physically ambitious, intimate, inquisitive, deeply honest plays – usually about outsiders, often about searchers, always about the human connection. Her plays include ANOTHER KIND OF SILENCE (PlayPenn, O’Neill Finalist, Playwrights Realm Fellowship, Drama League New Directors/New Works Fellowship); AMANUENSIS (Northwoods Ramah Theatre Company commission); THE EGG-LAYERS (Jane Chambers Honorable Mention, O’Neill Finalist, New Georges/Barnard College co-commission); A PEOPLE (Jewish Plays Project NYC Residency); GRACE, OR THE ART OF CLIMBING (Denver Center Theatre Company, Nice People Theatre Company, ATCA/Steinberg New Play Award Nomination, Barrymore Nomination, The Kilroys List); several ensemble-devised works, including AND IF YOU LOSE YOUR WAY, OR A FOOD ODYSSEY (The Invisible Dog, New York Innovative Theatre Award Nomination), LADY M (Philadelphia Live Arts Festival), and THE APOCRYPHAL PROJECT (Yale Cabaret), among others; as well as a dozen short plays and an autobiographical solo piece. Popular PlayPenn Teaching Artist and Conference Playwright Lauren Feldman leads you through a new writing prompt each week! The prompts will help get you/keep you inspired to write as well as offer a way to strengthen the craft elements in your playwriting tool kit.